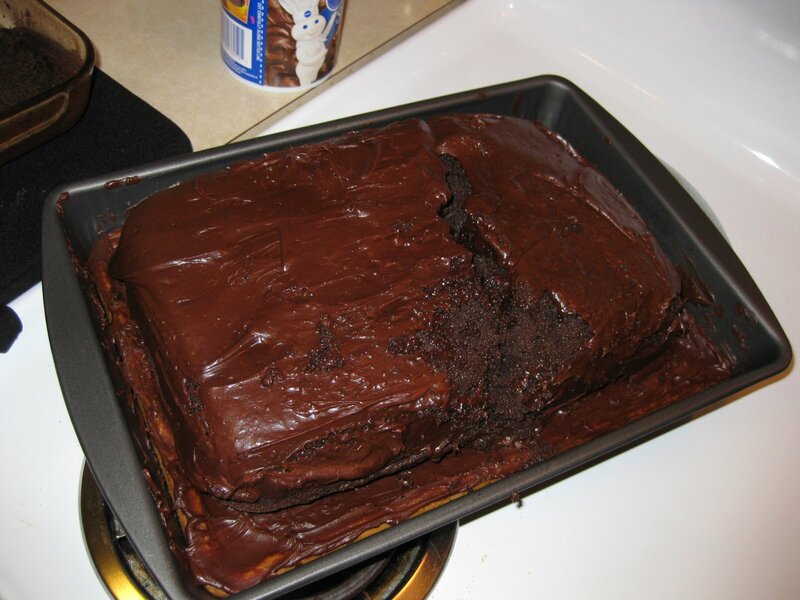 One day during college some roommates decided to bake a cake. But they also wanted to eat some cookies, too. What a dilemma! AND SHAZAM! Cookie Cake was born! Mix cookie mix according to package. 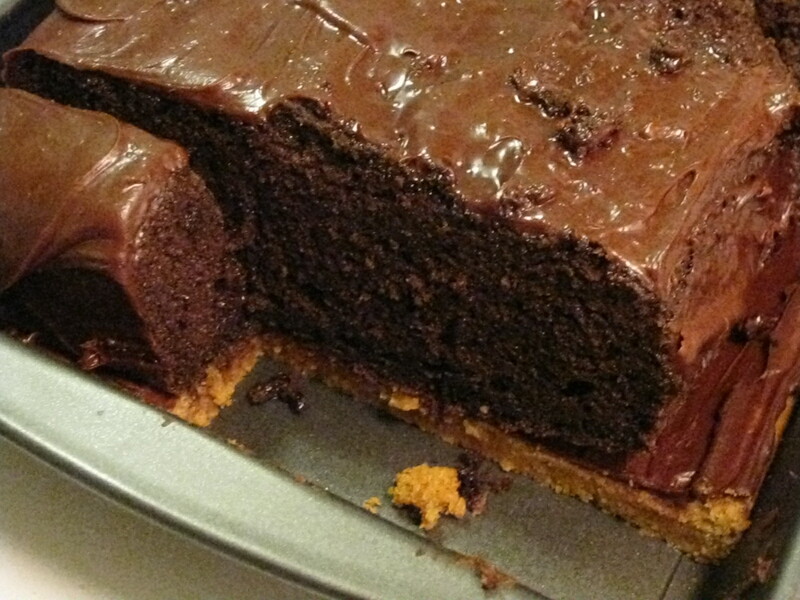 Spray a 9×13 cake pan and spread cookie mix into cake pan. Bake according to cookie package. Mix cake mix according to package. 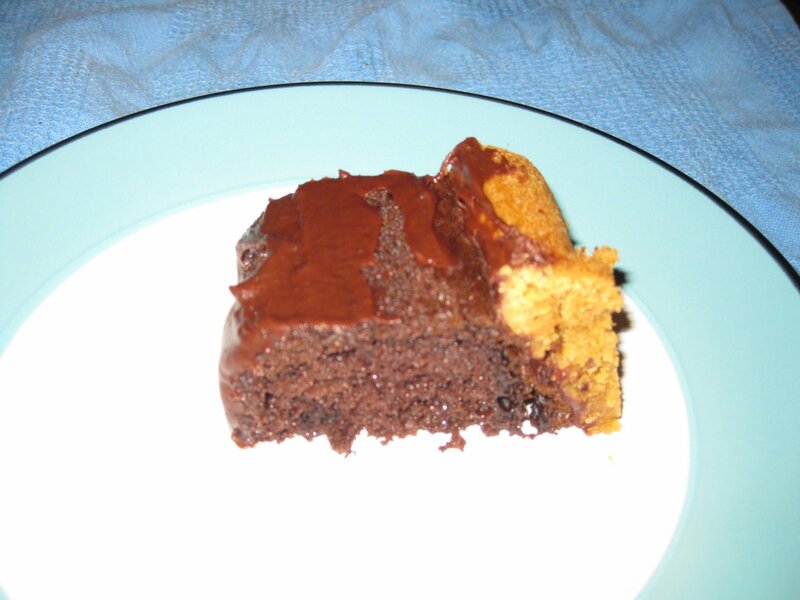 Spray a 9×13 cake pan and spread cake mix into cake pan. Bake according to cake package. After cookie pan is cool, spread frosting over cookie. After cake is cool, tip upside down and place on top of frosted cookie. Thank you Lisa & Ben for the most delicious wedding gift anyone has ever received! The cake Lisa and I made was in honor of Derek's birthday. He was in London and we were probably under the influence when we thought up CookieCake. It was soooooo good though. The original was vanilla cake on chocolate chip but when Mick and I made chocolate on peanut butter, that was fantastic as well!